You're likely running hundreds of project every year, but are you collecting metrics on all of those projects? 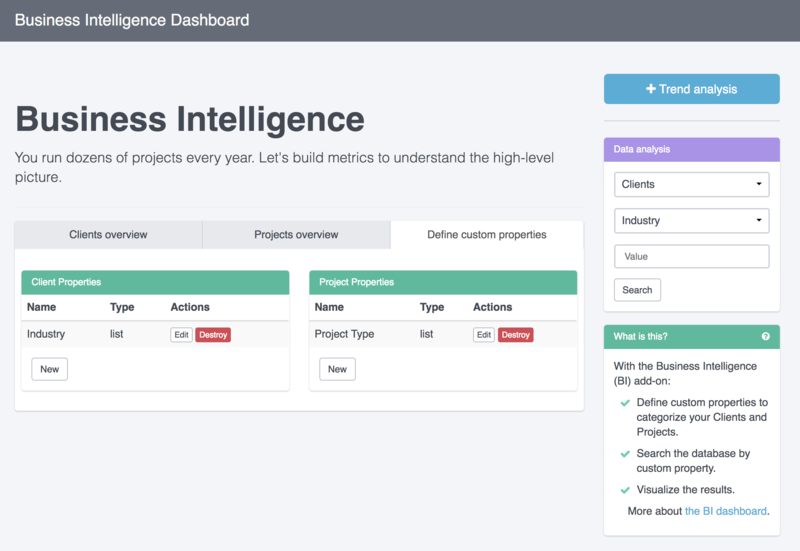 The Business Intelligence Dashboard helps you make sense of the wealth of information that is at your fingertips but that most likely you haven’t been tracking. What types of team industries are you serving? Who are the most profitable types of teams? What percentage of your projects are under-scoped or over-scoped? The Business Intelligence Dashboard can help you answer all of these questions and many more.